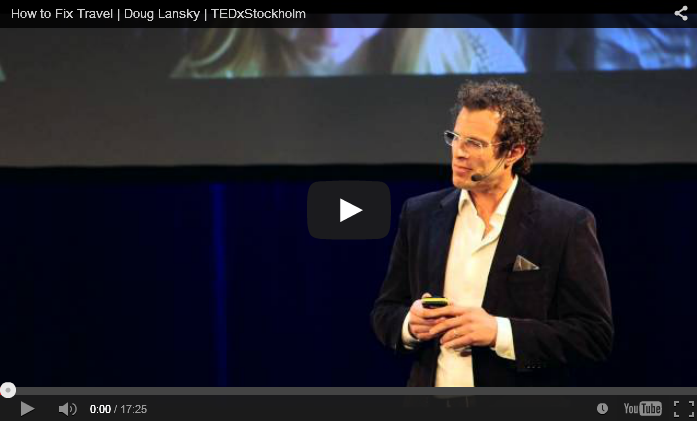 Doug Lansky, travel writer, speaker and destinations expert, really got our attention with this TED talk on how to fix travel and tourism’s worsening authenticity crisis. Thankfully, Doug doesn’t just complain, but offers a set of innovative solutions. One of his key suggestions is to reinvent destination marketing organizations (DMO) and turn them into destination management organizations. Place brands, he argues, are too much influenced by advertising promises, and not enough connected to local communities. And with a destination’s carrying capacity often entirely ignored or miscalculated, the situation is getting worse by the day. From an economic development perspective, growing visitor numbers are something to celebrate, since they mean more jobs and profits. However, having lived in downtown Barcelona for a while, we know how close the Catalan capital has come to reaching its visitor carrying capacity. What can/should DMO do to ensure sustainable tourism development? Is a refocus from destination marketing to management the right strategy? Please watch the short video, and share your thoughts in the comment section below. …is an American travel writer based in Sweden who has written books for Lonely Planet, Rough Guides and contributed to Esquire, Men’s Journal, The Guardian, National Geographic Adventure, Readers Digest and many others. He also wrote a nationally syndicated travel column in over 40 newspapers, hosted a Travel Channel show and served as travel editor for Scandinavian Airlines inflight magazine. Did you enjoy this post on travel’s authenticity crisis and the need to reinvent destination marketing organizations as management organizations? Please share! Tip: subscribe to our Place Brand Observer newsletter to benefit from updates on latest place branding and reputation insights, interviews, thoughts, examples.